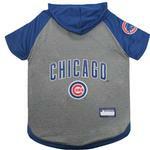 Take your dog out to the ball fields for some fun in this officially licensed Chicago Cubs Hooded Dog T-Shirt! 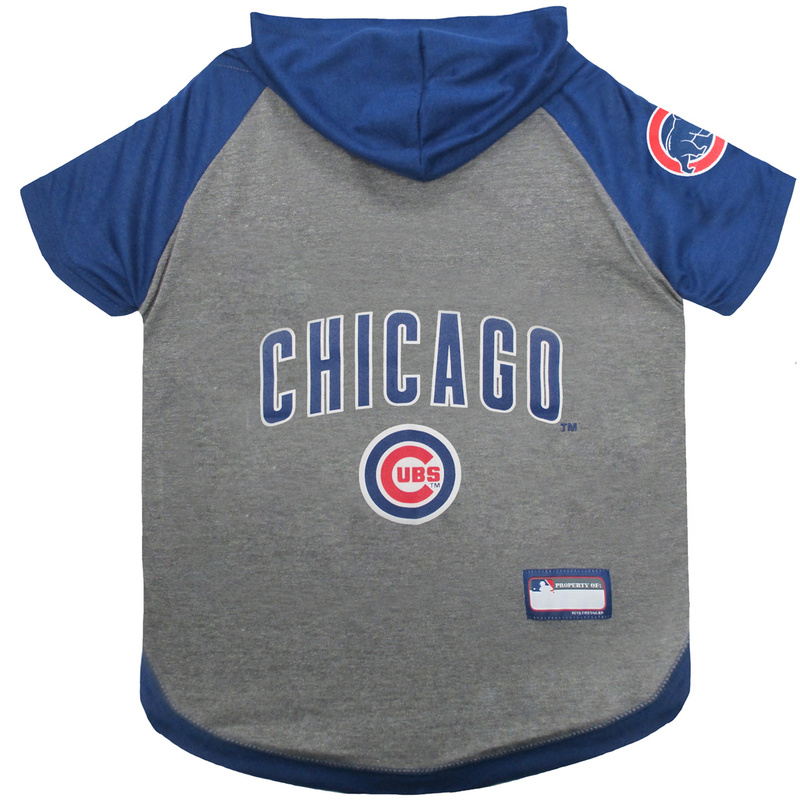 Your little slugger will love being cozy and supporting their favorite team in this Official Licensed Hooded Dog T-Shirt! Tee features the team name and logo screen-printed on the back with the MLB woven patch. Team logo also appears on a sleeve. Made of 100% cotton. Great for having a ball year round! Chicago Cubs Hooded Dog T-Shirt Customer Photos - Send us your photo! Thanks soooo very much for your help after sending an email last night and you answered this morning. Amazing and very impressed. I hope these items will fit my little girl-Bella girl. Again w/your sale items I was able to get these items. So far y'all are wonderful and she will be very grateful. Much licks n puppy hugs!